One European club have claimed that they ‘would do anything’ to sign Mesut Ozil from Arsenal, Ozil has been out-of-favour at the Emirates this season. 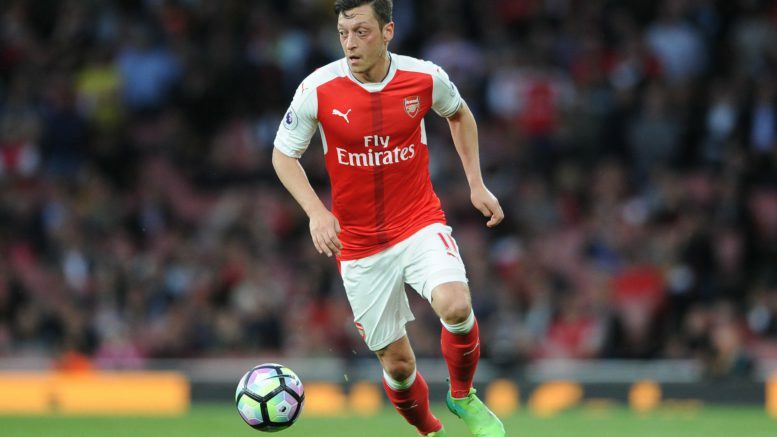 According to a report by Bild via FourFourTwo, Turkish side Istanbul Basaksehir are eyeing up a shock move for Mesut Ozil the report highlights that the Turkish Super Lig side would be willing to offer Ozil a way out of Arsenal. The attacking midfielder has failed to win over Unai Emery since he took over a the Emirates Stadium this summer, Ozil was left out of the matchday squad for Arsenal’s 2-0 defeat to North London rivals Tottenham on Wednesday night. The 30-year-old has played in 12 of Arsenal’s league games this season but has only managed to contribute four goals in those appearances. Be the first to comment on "European giant ‘would do anything’ to land star midfielder Mesut Ozil from Arsenal"